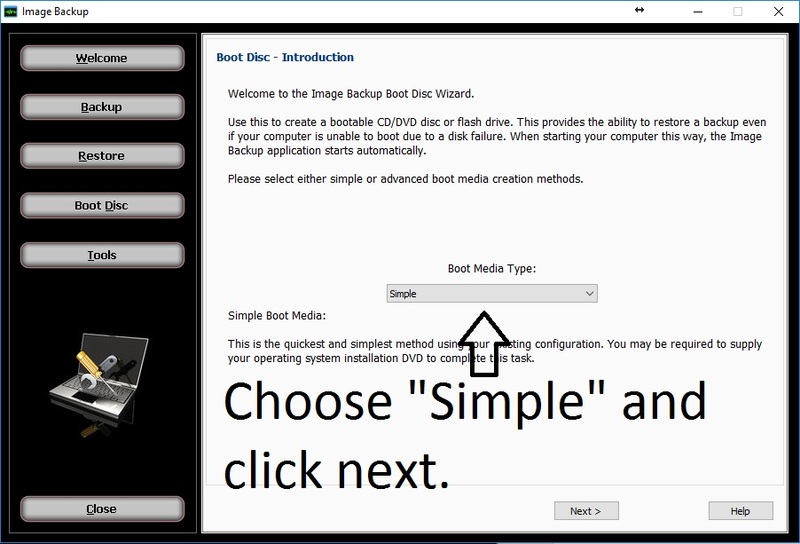 This step by step guide will assist you in creating a Recovery Boot Disc for USB and CD/DVD using simple mode. 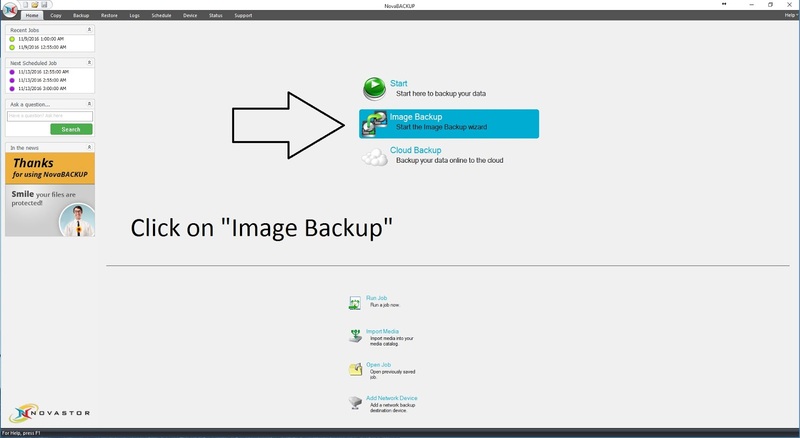 Our current version of NovaBackup PC (Version 18.5) Supports USB flash drives from 1GB to 16GB in total space. The USB Flash drive must be 1Gb to 16Gb in total space on the drive. 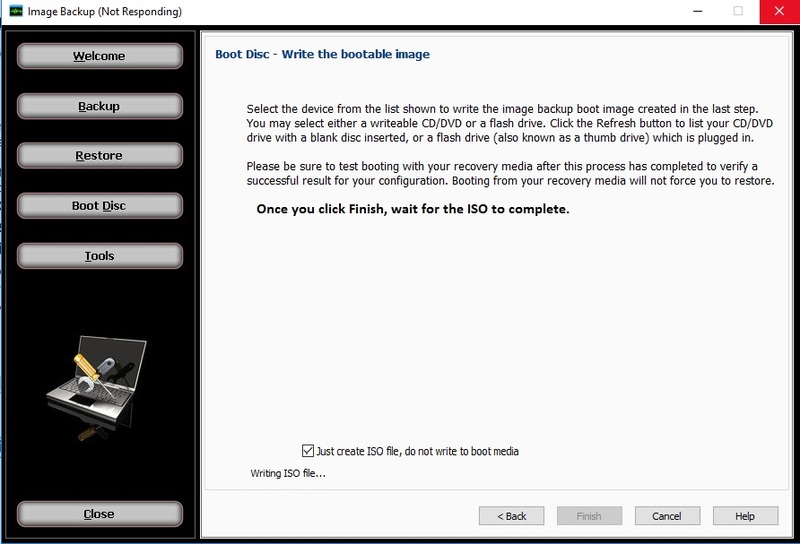 Click on “Just create ISO file, do not write to boot media”. 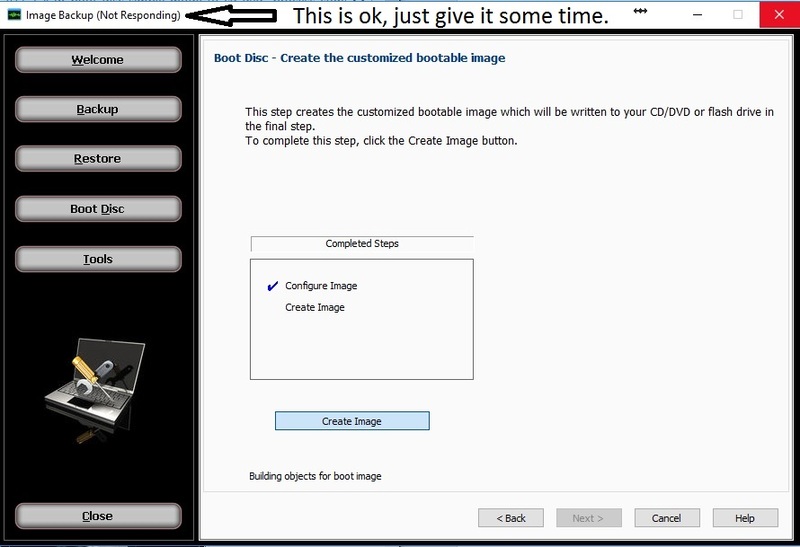 Wait for the program to finish creating the image file. 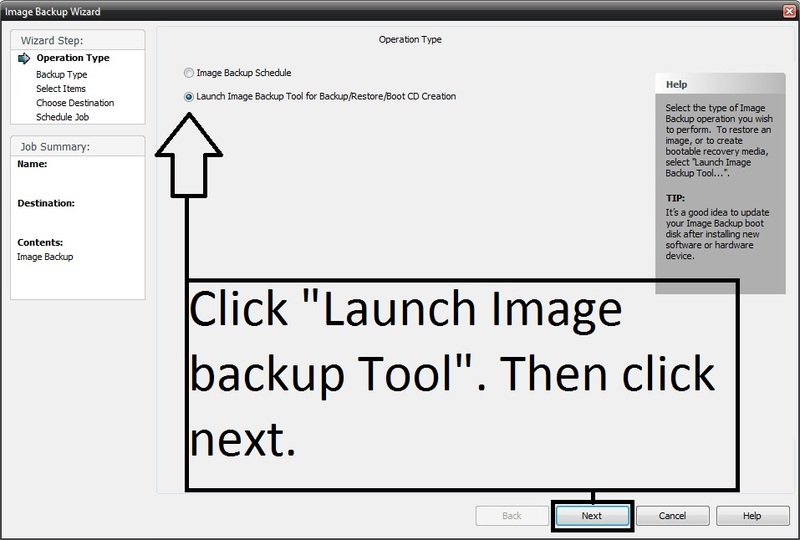 Go to where the “Source ISO” file is located on the computer. Boot disc image files usually save in “C:\ProgramData\TempDR\”. 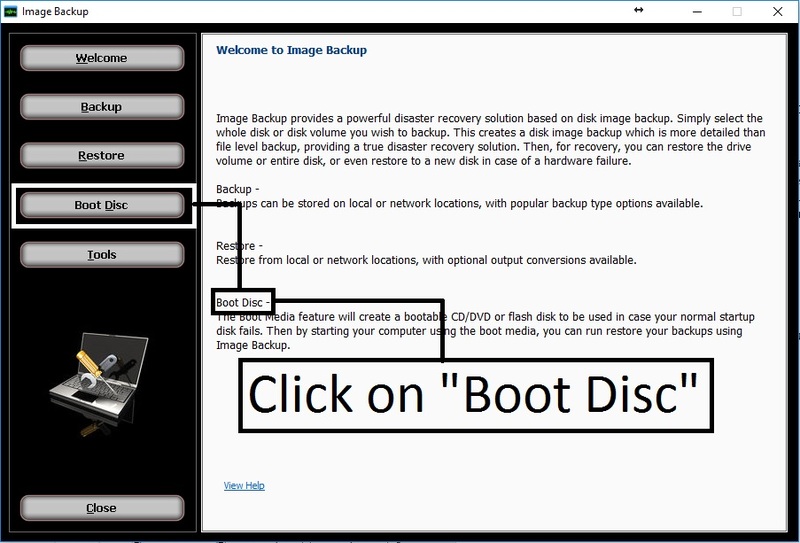 The Boot disc image is usually in a “DRBackup” folder that gets created after the software is finished creating the image file. You can copy the directory and paste the directory into the Windows File explorer or you can search for it. 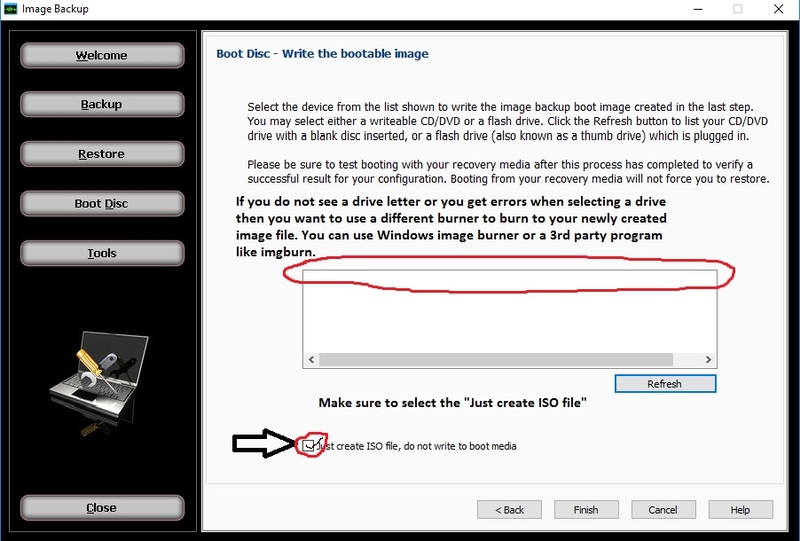 Verify that the drive you want to burn the image to, then click “Burn”. 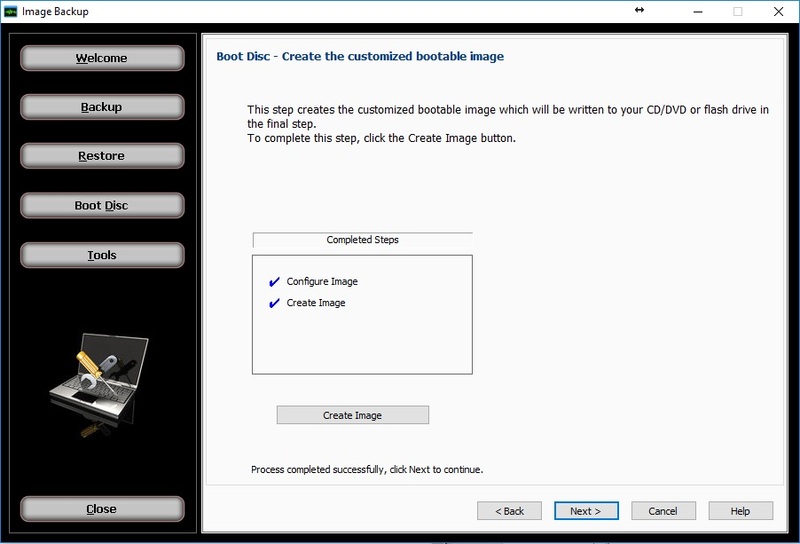 Once the burning process is complete you will have successfully created your boot disc on CD/DVD. * If you are running Windows 10, you can use the Windows 8.1 ADK or the Windows 10 ADK. 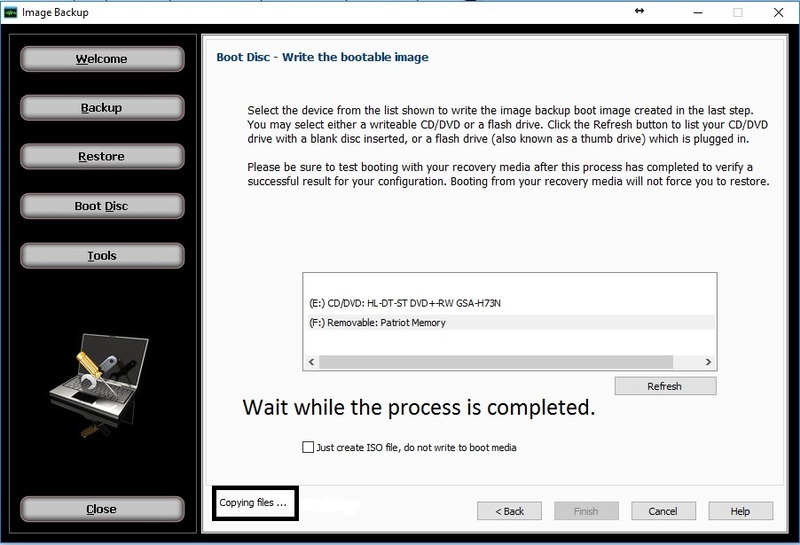 Windows 10 ADK contains additional drivers to support newer chipset motherboards, newer video cards, and USB 3.0 in general. * If you boot from your recovery boot disc and find that the screen is too big and you can't see all the text, then you would want to use the advanced mode to add your video card driver to the boot disc. * Use a USB flash drive that is between 512mb and 16GB. The boot disc itself is about almost 400mb. If you want to use a USB flash drive for the boot disc but have other files and folders on the USB flash drive; you can copy the files and folders to your computer, write the recovery image to your USB flash drive, then paste the files and folders back on the USB flash drive. * Remember that you would need to use the advanced mode to add any raid controllers if you have any.